Insurance and reinsurance group Hiscox continues to benefit from the efficiency gained through its growing third-party capital and insurance-linked securities (ILS) unit Kiskadee Investment Managers, as it helps the company to offset market pressures. Kiskadee grew to over $600 million of third-party reinsurance-linked assets under management during the third-quarter of 2015, with the launch of a new special purpose insurance platform, to “transform collateralised insurance and reinsurance risk into a security more suited for capital market investors,” Cardinal Re Ltd. and its first transaction helping to continue recent growth. In the Hiscox Group third-quarter earnings statement published this morning, the firm acknowledges that reinsurance market conditions remain challenging for it, but said that Kiskadee provides a valuable offset. The company explained the insurance and reinsurance rating environment in Q3; “The rating environment remains mixed. In our retail businesses in the UK and US, rates are broadly flat. In Europe we are seeing single-digit increases in both personal and commercial lines. “In the London Market, we are growing in areas where rates are healthy including casualty, small property and specialty auto business. Rates in upstream energy and US large property continue to decline. With such broad pressure remaining in key areas such as energy and U.S. commercial property, property reinsurance still under pressure from over-capitalisation, with casualty and specialty also seeing prices decline, Hiscox can leverage the lower-cost of ILS capital alongside its own balance-sheet to help it maintain and even grow its book. 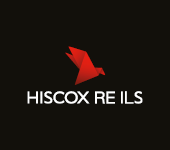 In Q3 Hiscox has reported growth in overall gross written premiums, up 12.9% to £1.537 billion from £1.361 billion in 2014. Much of the growth has been in insurance lines, but Kiskadee will have helped the firm maintain premiums in more pressured areas such as property reinsurance business. Kiskadee is one clear area of growth potential for Hiscox, as it finds new ways to put the third-party capital to work within both the reinsurance and insurance business units. Hiscox’s use of third-party capital has been impressive to date, enabling it to sustain reinsurance premiums, put it to work in both insurance and reinsurance lines and providing valuable income, earnings and fees. The company should have another chance to grow Kiskadee’s third-party assets under management towards the year-end, as the January renewals provide an important opportunity to leverage the efficiency of ILS capital once again. – Kiskadee launches Cardinal Re SPI platform, assets pass $600m. – Kiskadee passes $540m, as ILS helps Hiscox grow reinsurance. – Kiskadee ILS funds grow to 300+ positions, add 70 at April renewal.